Group alignment and world service are accentuated as we both move through the eleventh lunar cycle of the spiritual year, having begun in Aries, as well as inaugurate the lunar new year coinciding with the 2012 calendar year. This is a pivotal cycle in world events, as has been pointed to by prognosticators from ancient civilizations all the way into present time. Yet in times of upheaval and change, there is great spiritual potential for evolution through enlightened public opinion and the application of Goodwill. 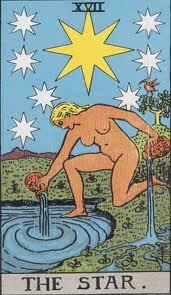 Aquarius orients us further into group alignment, where inclusivity is required in order to find the points of agreement and to strengthen these. Utilizing the mountaintop vantage point gained in Capricorn we may now ground to the larger perspective, rather than focusing on distracting details. In this light we are reminded that “… synthesis is, whilst unity is achieved and is the reward of action and effort.” (1) As we work with the great Principle of Unanimity, balance occurs in all realms including the individual, the situation at hand, and the greater group life itself. Synthesis relates largely to the Life aspect, that which enlivens all forms. Through our focus in the arenas of manifestation, the Christ consciousness will emerge fully into humankind’s common experience, as is held in anticipation of the Coming One ~ known in world religions by names including Lord Maitreya, Imam Mahdi, Messiah and Kalki Avatar. 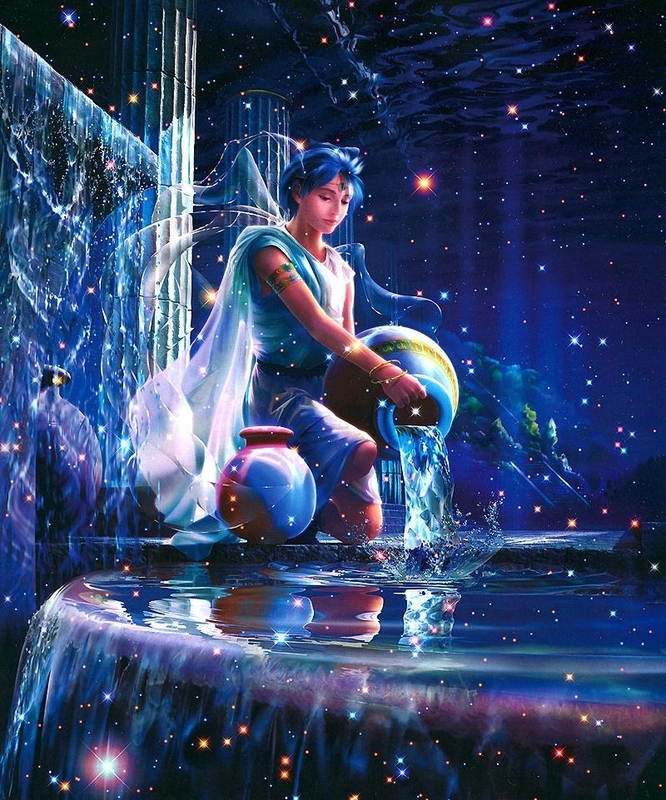 In the Aquarian Age, the Risen Christ will bring the water of life to the people ~ life more abundantly. He will not this time demonstrate the perfected life of a Son of God, which was His main mission before; He will appear as the supreme Head of the Spiritual Hierarchy, meeting the need of the thirsty nations of the world ~ thirsty for truth, for right human relations and for loving understanding. We are Watchers of the Dawn, working with the present time inflow of energies to prepare for and usher in the emerging Aquarian age. By aligning with and directing the incoming flow of energies, we reveal the Synthesis of Life Itself. All are valuable in this endeavor. Please connect with the group soul this Full Moon no matter where you are physically on the planet. Get together with friends and family. You will be glad that you did. Come on over to our place Wednesday evening and celebrate with us, or celebrate wherever you are. Pisces and Neptune rule the waves and tides. A good wave can give us a good ride; a violent wave can kill us. A good tide can bring riches and blessings; a bad tide can ground our boat. Knowing inner and outer tides, personal and impersonal tides, will be important during the 14 years ahead of us. We will all need to learn navigation skills, or know a good navigator to help us steer our “ship of personality” through the tides, reefs, perils, and unknowns of an ocean we on Earth at this time have never experienced before now. By becoming unafraid of that which is beyond words, we can find a greater faith in “All-That-Is,” and know that we are as leaves floating on the surface of the ocean held securely in the lap of Divine Mother. In the midst of all the craziness please remember to breathe and know that the Planetary Elders are in charge. Now is a very good time to unplug from the negative news and find the calm center within each of us. There is a plan. It is Light and Love. It is working out – sealing the door where evil dwells. Light and Love and Power are restoring the plan on Earth. So mote it be. And so it is. From Main Street at the Gap take Jackson Boulevard south to Canyon Lake Drive. Turn right onto Canyon Lake Drive. Go five short blocks, one street past Minnekahta. Turn right into Woodbine, and ours is the second house on the right – 4105. Our street is a half block long with no through exit. This entry was posted in Astrology, Full Moon and tagged Astrology, Full Moon, Neptune in Pisces. Bookmark the permalink. 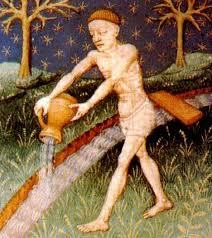 Aquarius the Water Bearer, what is the water that he/she is bearing? 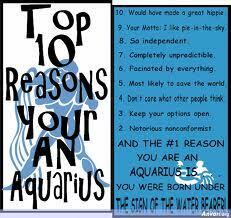 Because it is an air sign the water represents knowledge or wisdom. But what type of knowledge? Because it is water it represents the emotions of the Heart. Wisdom in emotions? No, not quite, the emotions are like waves on the surface of the Deep Water. One must plumb the depths to find the pearl at the bottom. And that pearl? It is Love, not emotional love, but the Love that exists deep within the Heart. It is a wise Love, an all knowing Love, a Love that is carried by One’s Soul – by a Soul that is truly connected to the Source of Love itself!